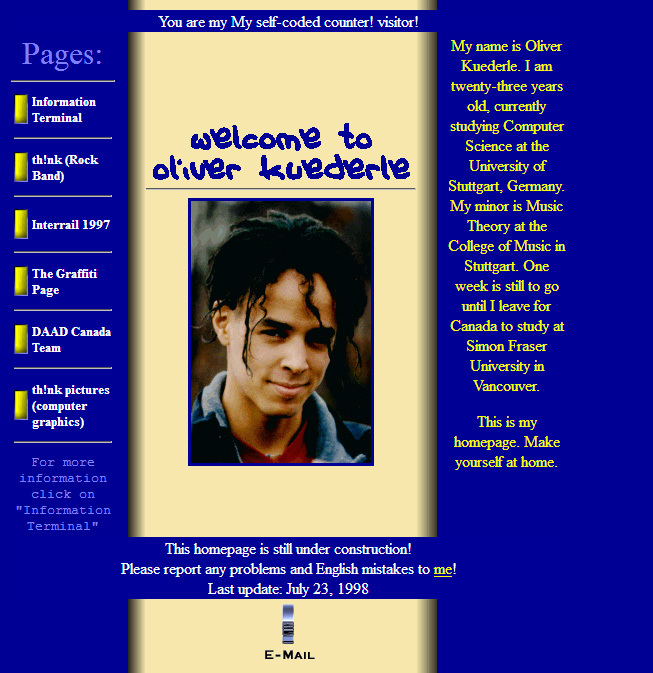 I built my first web presence in 1996. At the time, I was studying Computer Science at the University of Stuttgart. Every student was given some web space as part of the university’s website. We could put HTML files and images on there. And I believe there was a CGI folder for each user which allowed us to implement some basic functionality like visitor counters. You will notice that some of the content of that page made it all the way into today’s version. The “Interrail 1997” link led to my Europe trip in 1997. And the “th!nk pictures” link led to my print design portfolio. When I left the University of Stuttgart in 1998 to study at Simon Fraser University in Canada, they also provided us with web space. This was meant to be used mostly for content related to our studies so I didn’t put much personal information on there. I’m not sure why but for a while, I was obsessed with the look of CRT monitors and TVs so I turned all images into horizontal lines. The thing to note also was that up until this current version, my personal website always featured a black background (it probably started because of that TV thing). Growing up with green screen computer monitors, I didn’t think it was odd. At the time, there were lots of websites with black backgrounds and I found that, especially with CRT monitors, placing black text on a white background didn’t really make it look like paper. Things are different today, of course, and I hate reading white text on a black background. So it was time to change that. Over the years, I added a bit of content but didn’t change the design much. There was never much time for it. 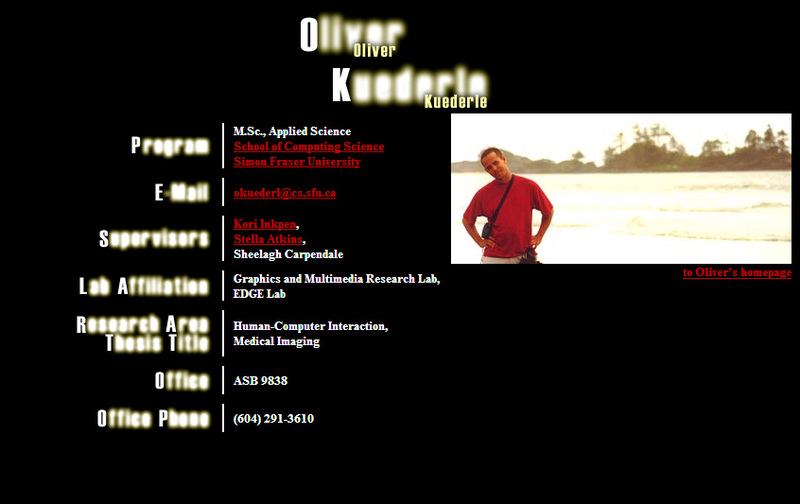 In 2002, after coming back from Canada and starting to work, I changed the homepage, going from a student look to a more professional look, wearing a suit that is. I believe the menus were inspired by the navigation found on the microsoft.com website at the time. By the way, the “Crap Version” was the homepage in a typical GeoCities design, complete with rainbow background and tons of animated GIFs spread all over the place. In 2009, I changed the homepage again to a more “artistic” type of look, in line with my time as a full-time musician. The orange background was coincidence, it was the background we happened to use during the photo shoot. You will notice that I was always into bold type. 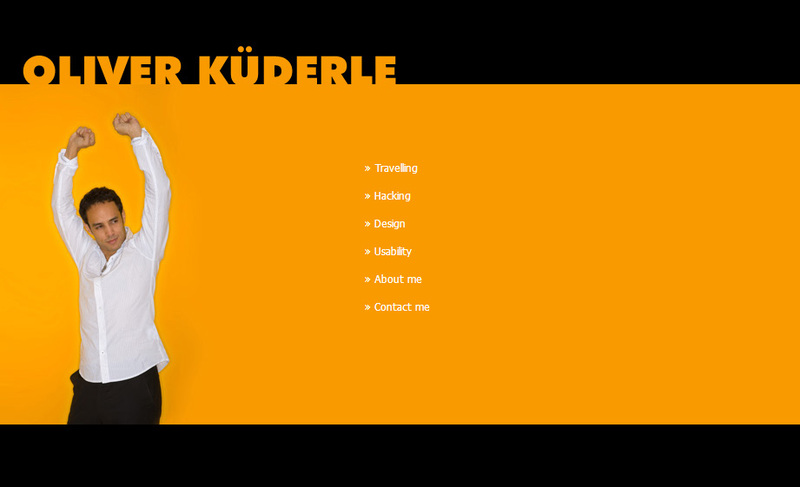 Here I’m using Futura Extra Black for my name, to make sure that everybody notices it. The current version is online since the end of 2017, when I spent some time redesigning the entire website. First of all, it now features a white background (except for the homepage). And it is responsive, allowing you to explore it on mobile phones as well. 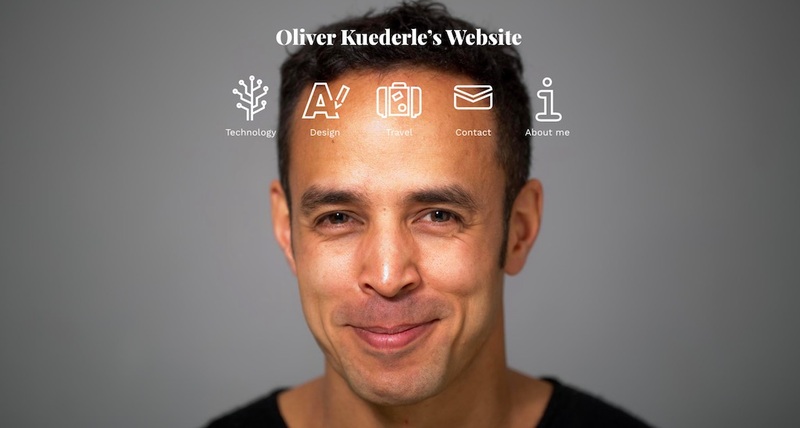 I got rid of any server scripts, the site is purely static (built with Hugo). So it also loads much faster. 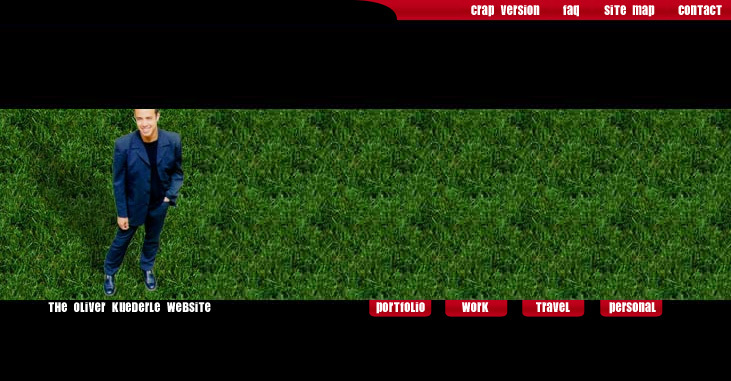 During the process of redesigning it, I found a lot of old HTML code (and even CGI scripts) from way back in 1999. I don’t think I ever anticipated still having this website twenty years later. I should not be surprised if this website is still around twenty years from now.